After breakfast we will leave towards Meknes. There you can visit the Plaza El Hedim, the Medina or the Mausoleum of Moulay Ismail. After eating, we will resume the route. We will pass through the Roman ruins of Volubilis, which you can visit. Then we will continue our way until we reach Chefchaouen. Accommodation in riad for the night. In Chefchaouen, "the blue pearl", they will have the day off so that they can tour its streets and enjoy the tranquility that such a beautiful town deserves. In the morning we will go to Tangier. We will arrive at noon. After lunch you will have the afternoon free to take a tour of the old medina. 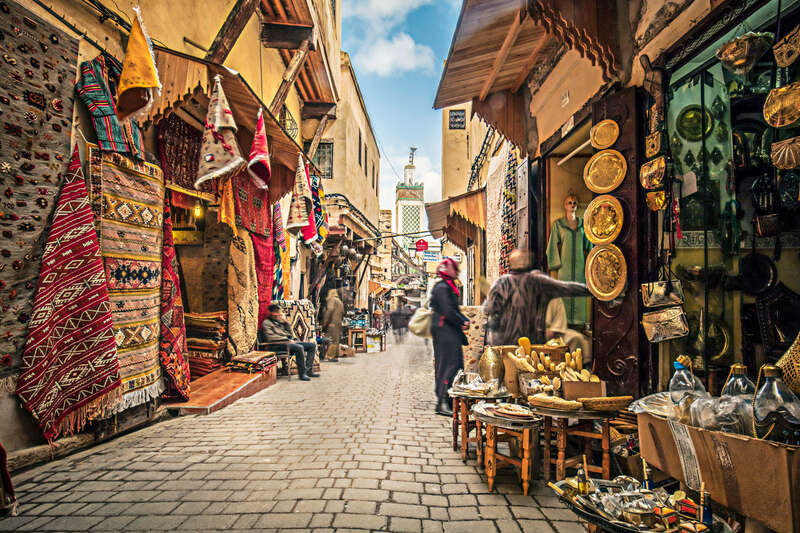 Tangier is a bustling city of cosmopolitan character, which was the center of inspiration for a whole generation of artists and politicians, during its colonial city era. At night you will stay in the riad.